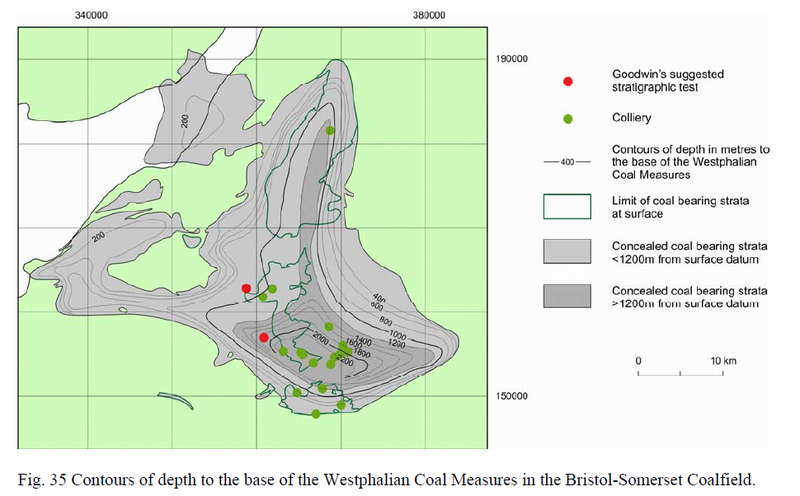 The coal bearing strata in the UK are shown in the figure below and the Chew Valley is located in the Bristol-Somerset Coalfield. The previous PEDL licence holder, Geomet, suggested in 1999 that two exploration bore holes should be drilled: “1 km east of Chew Magna” and “1.5 kn east if Hinton Blewett”. The sites are shown as red dots on the figure below. Note that these tests were proposed but were not made, however it goes to show how local the issue may become. From this map it is estimated that one test would have been near Sandy Lane within Chew Magna parish, whilst the other would have been in farmland to the south of the quarry at Hinton Blewett. 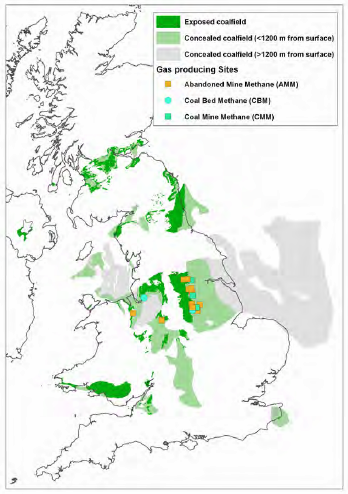 The location of the coalfield in relation to the PEDL licenses and geographic features is shown below.